Mumbai: Everything we call perfect has some flaws of its own. Showcasing the lives of two simple individuals, in the lanes of Agra, ‘Dhhai Kilo Prem’ is a breakaway hit which will benchmark the way our viewers perceive beauty in one another. Produced by Balaji Telefilms and Sandiip Sickand, Dhhai Kilo Prem will be aired as a part of Star Plus’ new initiative ‘Star Plus Dopahar’, raising the bar of content during afternoons on television. The show, directed by Neeraj Baliyan, will be aired from 3rd April every Monday to Saturday at 2 pm. Dhhai Kilo Prem is the story of two individuals who aren’t ‘perfect’ as per popular notions of beauty. But their story will compel the viewers to ponder on the connotation of perfection. On the face they look very similar, ‘a picture perfect couple’, but they possess completely different approach towards life. A confident and cheerful Deepika gets married to Piyush, a man with low self-esteem, who wanted to marry a “perfect” woman to cover his flaws in society. Here on, beginsthe quest for finding love and confidence in one’s self and each other through the perspectives of Deepika and Piyush. 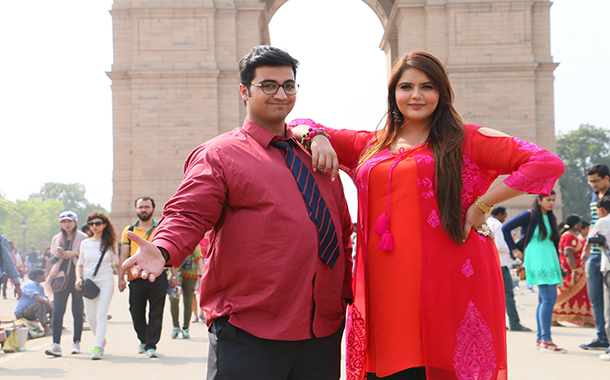 Meherzan Mazda plays the lead character Piyush while Anjali Anand is seen playing the protagonist Deepika. The show has also roped in veteran actors like Kiran Karmarkar, Kishwer Merchant among others.